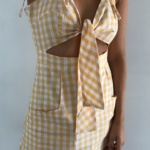 This gingham print is on trend! So, grab yours while it last! 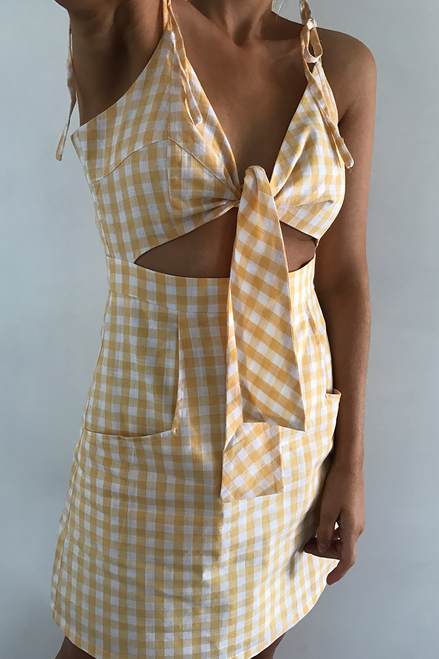 This Spotlight Dress has a tie up on front and on shoulders, zip at the back and functional pockets on the either sides.